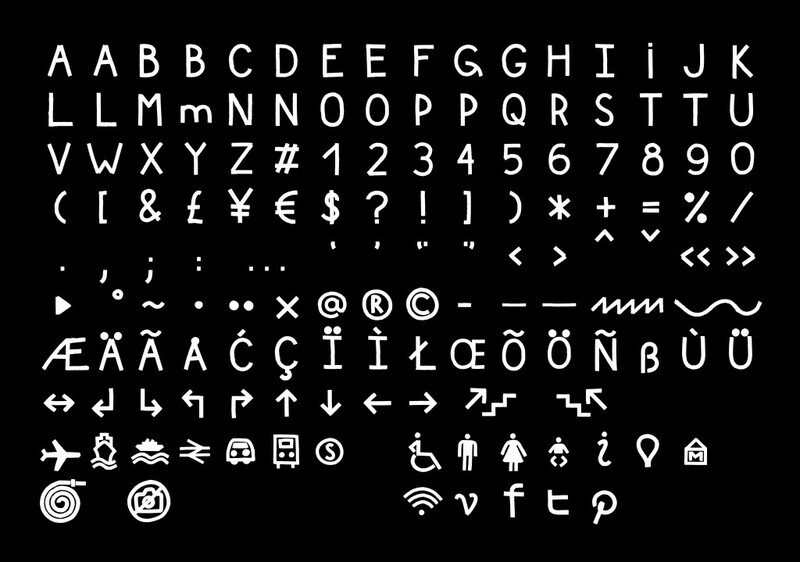 The Design Museum in London has opened its eighth edition of Designs of the Year. For 2015, Kellenberger-White have been nominated under the Graphic Design category. BA Graphic Design Camberwell alumna Eva Kellenberger set up Kellenberger-White together with her work partner Sebastian White in 2009. Their commissions includes work for British Library, Carmody Groarke, Glasgow International, Royal College of Art, Science Museum, Turner Contemporary, Wellcome Trust and White Cube to name a few. Kellenberger, grew up in Zurich, Switzerland and moved to London after school to study at Camberwell, successfully graduating in 2006. We talked to Eva about her nomination of Designs of the Year 2015 below. Congratulations! How does it feel to be nominated for Designs of the Year 2015? It’s great! Glasgow International was such an exciting project to work on – and it was also such a great art festival to see and experience. It feels very special to have it included in the exhibition at the Design Museum. The project is also being exhibited at the Reid Gallery, Glasgow School of Art, as part of a solo show of our work – all the original hand-painted letters used to make the typeface are on display. It’s the first time we have seen them all together at once as they are so large! Please tell us about the design that got you nominated? The biennial Glasgow International (Festival of Visual Art) showcases the city as a unique major centre for contemporary visual art. 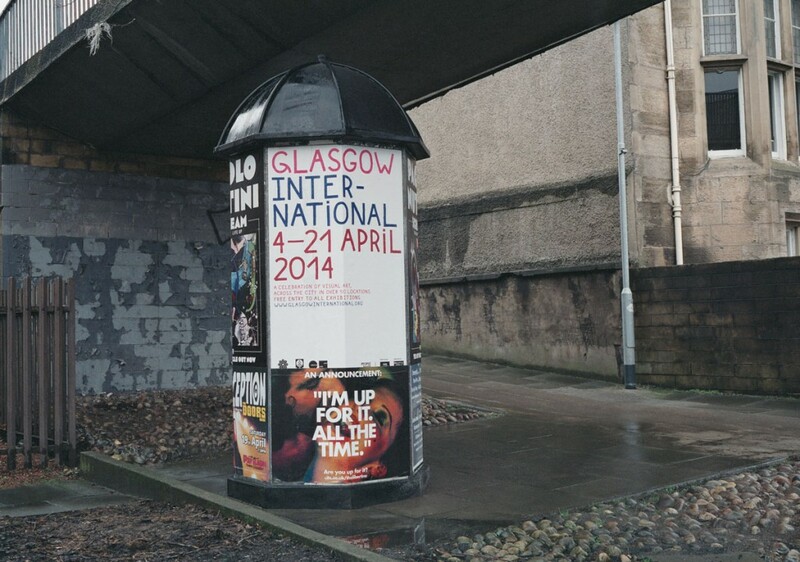 Taking place in various venues and locations across the city, including Glasgow’s major art spaces and cultural institutions, the Festival comprises an ambitious programme of exhibitions, events, talks, performances and projects by international and Glasgow-based artists. 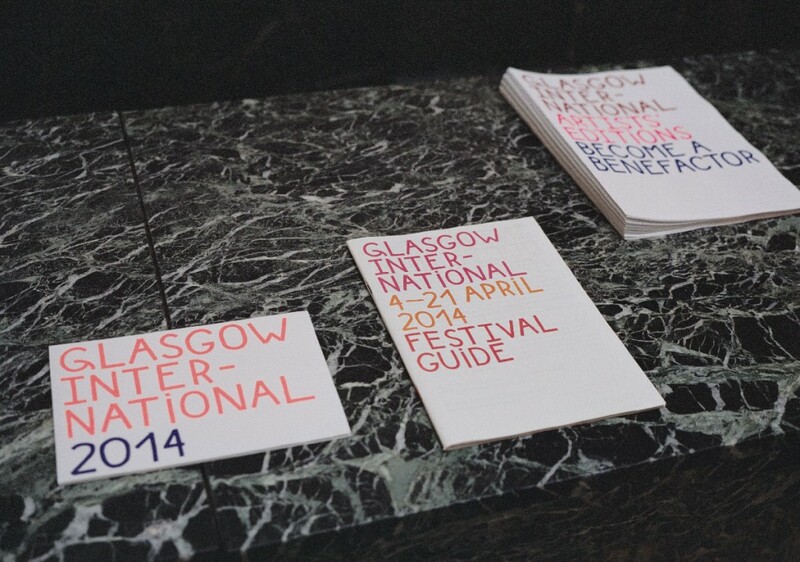 We were was commissioned to design the identity for the Festival’s 2014 edition. The identity is a highly characterful typeface that captures the quickness and scale of large hand-painted lettering used on warehouses, docks and ships throughout Glasgow’s industrial waterfront. The visual identity will be used for the Festival’s signage and online and print marketing campaigns.